The picture of classic elegance. 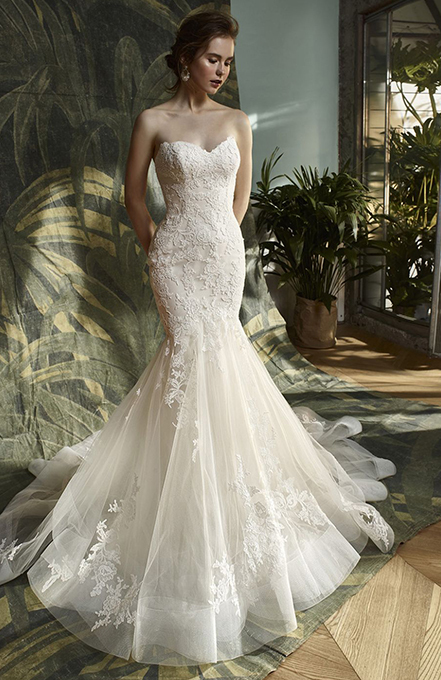 This full-length mermaid gown features an intricate lace bodice with romantic sweetheart neckline and luxurious tulle skirt with horsehair hem. 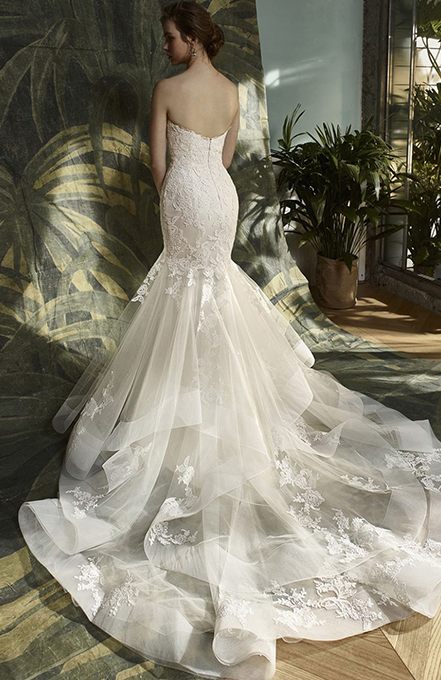 Just as eye-catching from the back, Kandace also features a cascading, tiered train with horsehair hem detailing. Finished with an invisible zipper closure.